Failing video on the wife’s computer eventually ended up with a blown video card after a year usage. 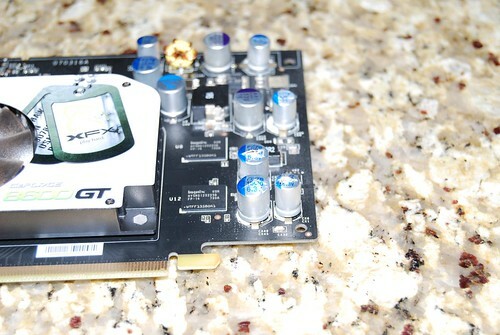 Not to pleased about the XFX brand nor their XFX GeForce 8600GT video card. I ran across an interesting API library deep in the Ektron API framework that allows you to pull the actual localization tag (e.g. en-US, en-GB, etc.) for the current language type id of the site (e.g. 1033, 2058, etc.). Previous to this, we had to create our own associative, key/value pair XML file that stored the relationships. Since I could only find a single reference to this library on the Ektron site, I hoping this information proves useful to others. Enjoy. I have used the service controller command line tool for years. I have finally decided to write something up on it briefly since I have been working with various frameworks/systems that are not completely removing their services after uninstalling them. You may or may not be able to delete the service depending on it’s dependencies. You will need to follow the chain down to any child services if that is the case and delete them first. You may also be required to reboot. I have been using AceProject project management system for years. First at LANDesk, and now at McCann Erickson. Though it is a great tool for managing projects and tasks, it’s user management system lacks a vital feature, cascade delete user. That is, delete the user along with all it’s assigned tasks, projects etc. Hopefully this helps someone else that is hosting this application as it did me.